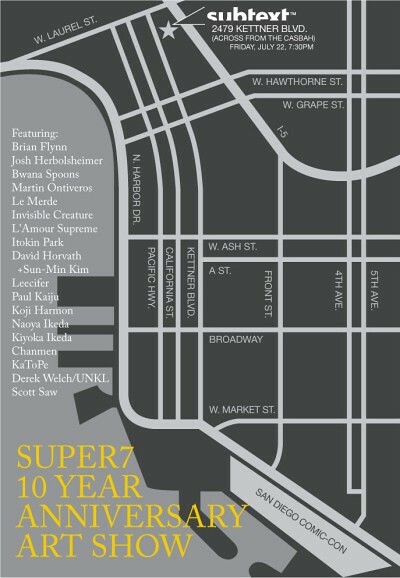 Super 7 is hosting an Art Show to celebrate the artists they have been working with over the last 10 years. Quite a roster as you can see. 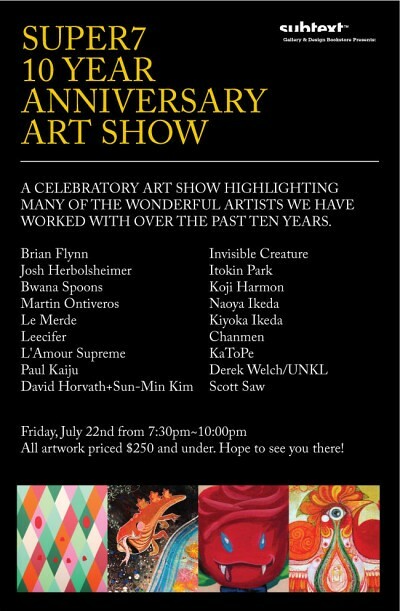 It will be on Friday, July 22nd at subtext in San Diego. All pieces under $250.. nice..!